An amazing kit designed to build three robots powered by batteries: a forklift, a rover, and a gripper. Made in Taiwan. 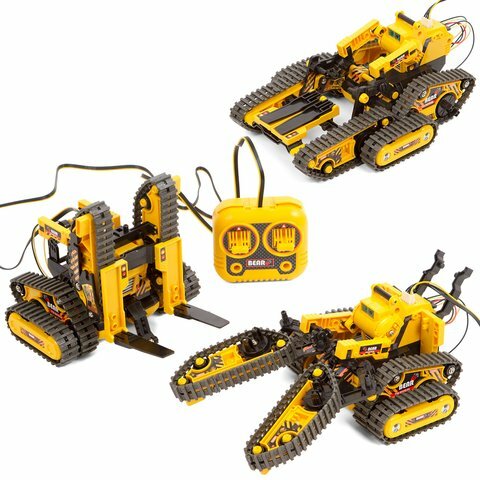 CIC all terrain robot kit kit allows you to build three track-type robots: a forklift, a rover, and a gripper. The assembling process is easy and doesn't require soldering or special skills. You'll need scissors, micro cutting pliers and a screwdriver to pull all the part together. You will find the explanation for every assembly phase in the user manual. 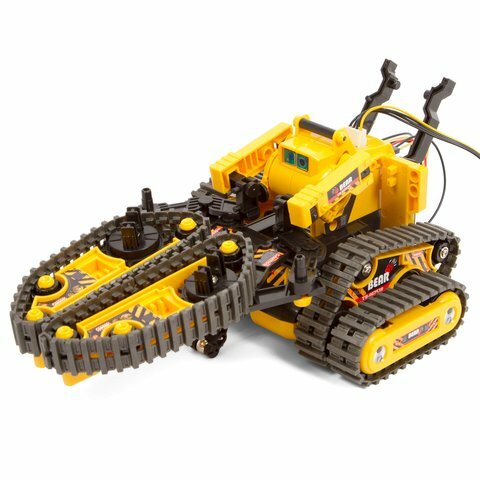 Beginners and experienced robot builders may choose three different models to build, namely a forklift, a rover, and a gripper. Don't forget to prepare 4 AA batteries! They're not included in the kit, but robots won't make a move without it. You can play with the robots both inside and outside your house. Connect the wired joystick to control the toy. Robots can execute several commands: move forward, backward, turn, grip and lift things. In the forklift mode, the robot acts as a mini industrial forklift, with the ability to lift up to 100 grams of weight. When you change it in the rover mode, you'll get the tank-like robot that can traverse any type of surface. Don't hesitate to take it for a ride in the closest park! The gripper mode allows your robot to grab, lift and move anything up to 100 grams, to your desired location. Kids study while you assemble and play with your robots. They learn basics of robotics and engineering. 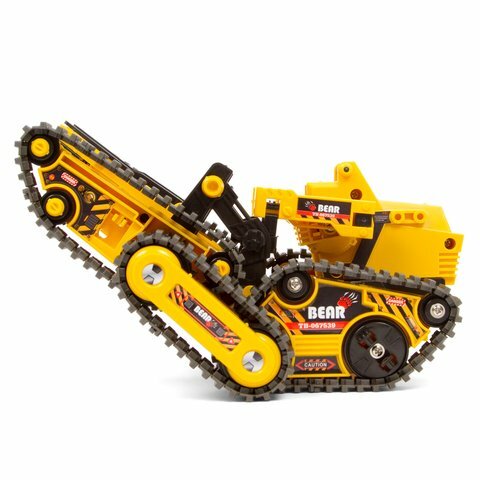 Besides, the toy helps to get acquainted with the principles of crawler mechanisms. Everybody who is at least 8 years old. Do you like robotics? If so, this kit is perfect for you! Your gender or special skills don't matter. 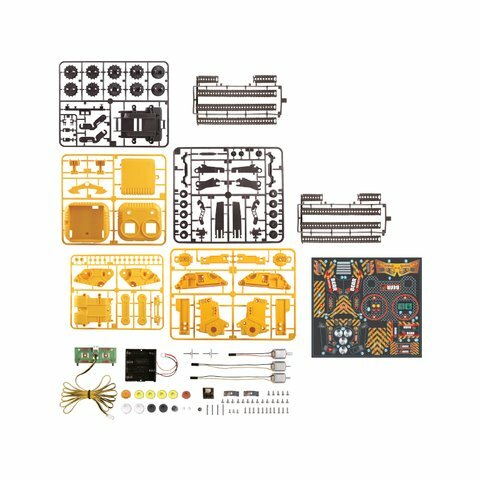 This kit is perfect for both beginners and experienced robot builders. 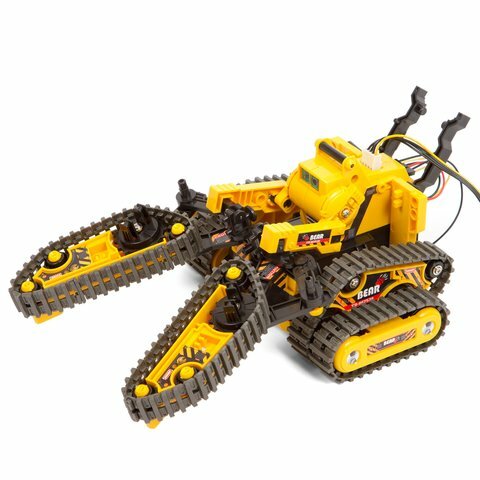 CIC is a Taiwanese manufacturer that makes fascinating robots, solar energy kits, as well as motorized and remote controlled models. 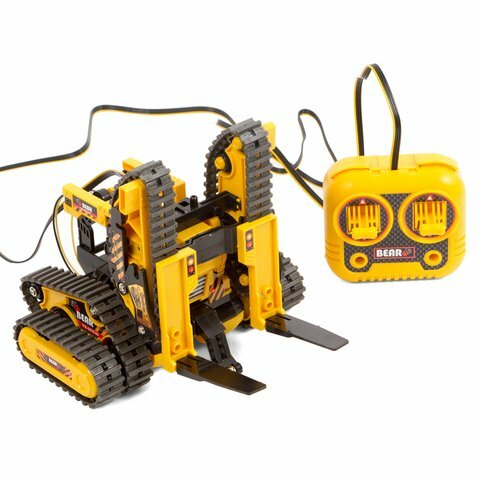 CIC toys allow learning robotics, alternative sources of energy and have fun while gaining new knowledge! We have only original and high-quality CIC kits on toys4brain. Get to know how to identify the fake from the original here. 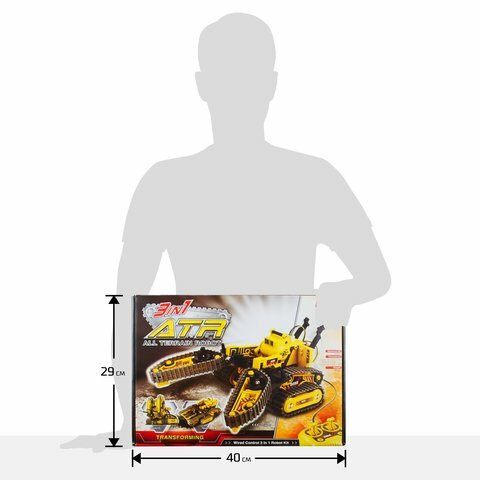 Warning: this DIY construction set contains small parts. The original certified product. Made in Taiwan. Attention! Beware of low quality counterfeits made in China. 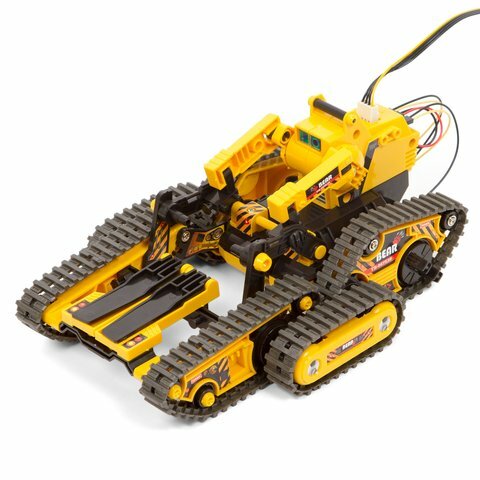 Don't miss out on the best robot toys for kids! Explore our TOP 10 here.